Carbondale & Rural Fire Protection Dist. Carbondale Rotary’s first-ever Running of the Balls last Friday was even better than we imagined. Locals of all ages came out for First Friday and lined Main Street to watch. We had a kids fun run for ages 3-6, a great parade and lastly the main event when 89 of our big rubber balls got blown down the street by giant fans and leaf blowers. 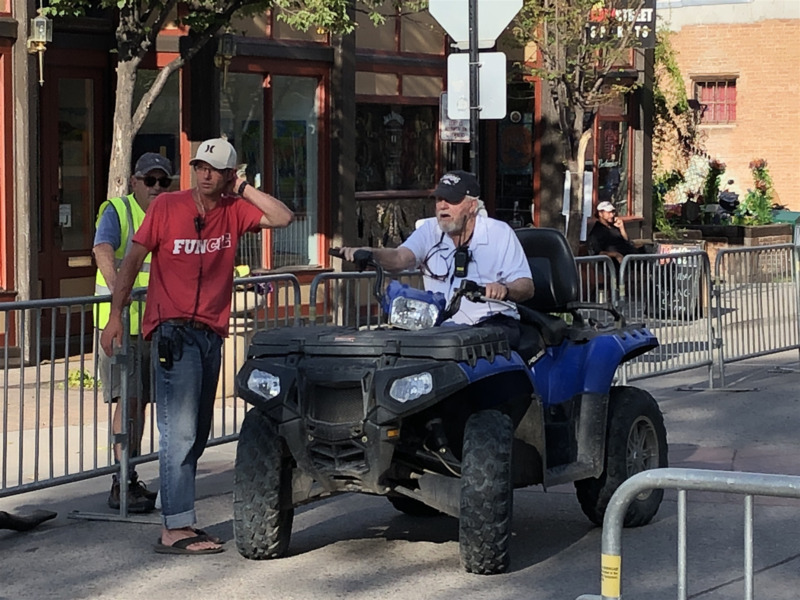 We had perfect weather and amazing, crews of volunteers to make it all happen. The vision of our hard-working event architect, planner and chairman Jack Brendlinger truly became a reality. 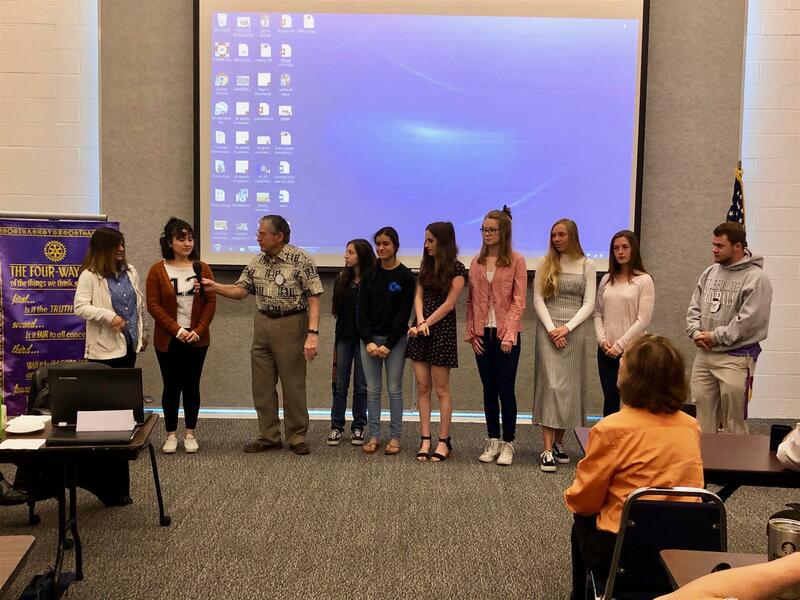 Carbondale Rotary Club welcomed this year's Rotary Exchange Students at the Aspen Airport in late August. 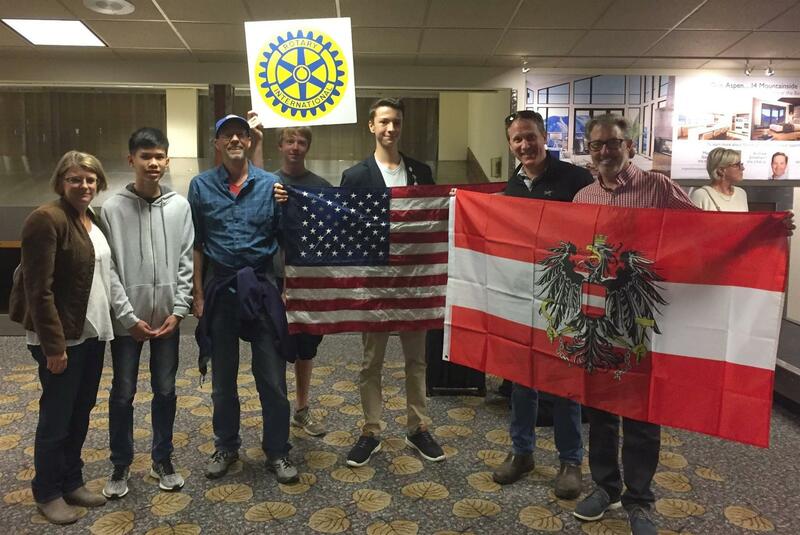 Both Stefan Platzer from Austria and Thunyakrit "Ou" Chutiphornphongchai from Thailand arrived to spend the year living with local families and attending High School through the Carbondale Rotary Mountain and Plains District 5470 Rotary Youth Exchange! Stefan's Carbondale Rotary Greeting Committee at the Aspen Airport! 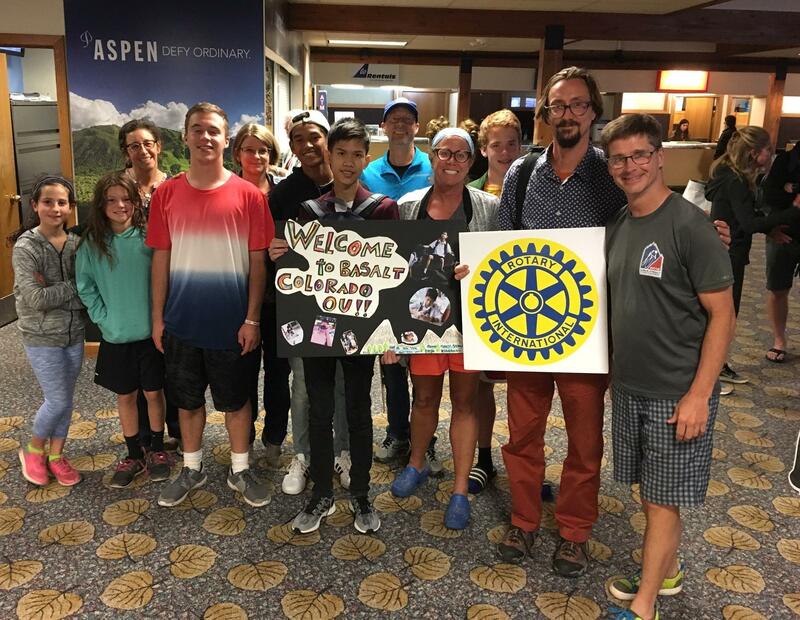 Thunyakrit "Ou" Chutiphornphongchai is welcomed to Aspen by his host family the Mitchells and Carbondale Rotary members! Both students will be running cross-country for their respective schools. 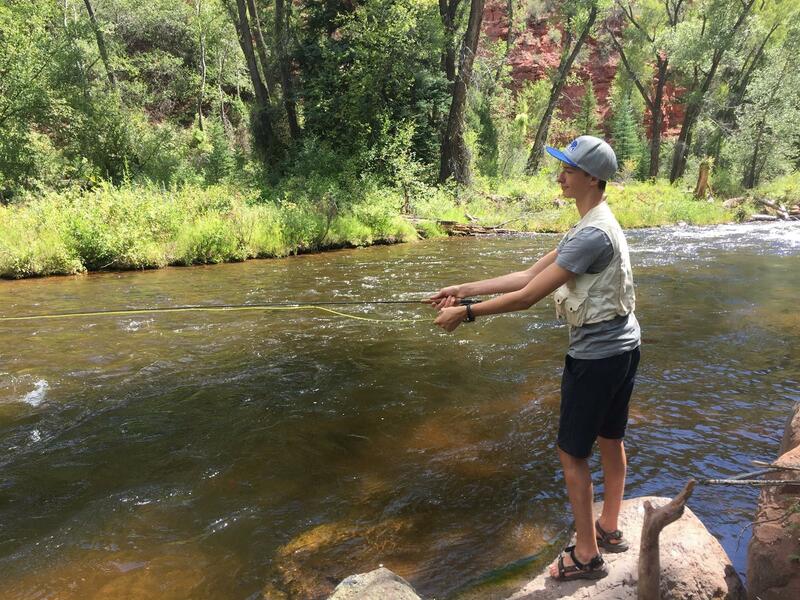 Ou has already visited the top of Aspen Mountain and Stefan spent his first weekend fly fishing. They're certainly wasting no time settling in to life in the valley! 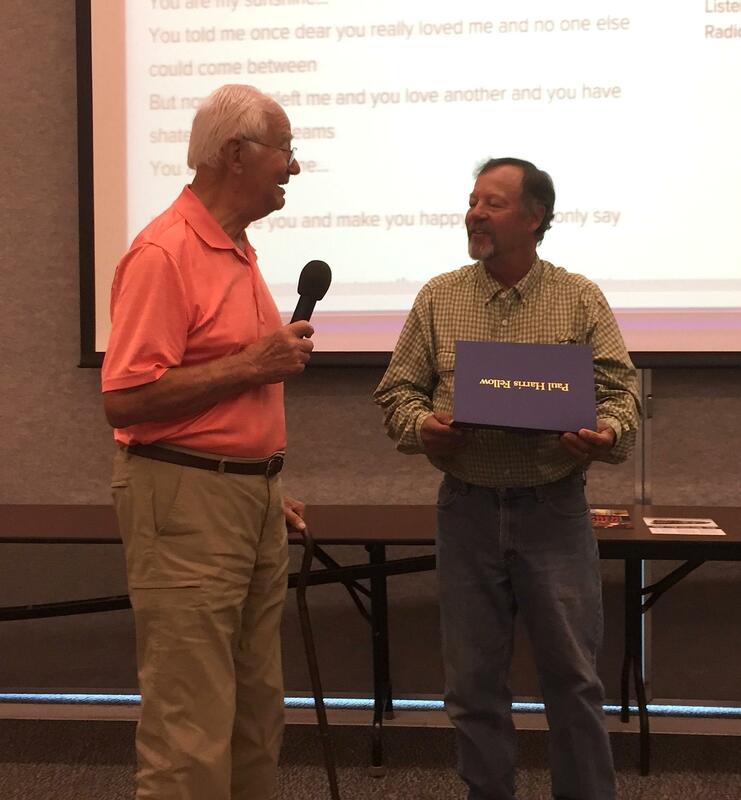 Special thanks to our very own John Stroud for the countless hours organizing the Rotary Exchange program here and making these life-changing experiences possible! 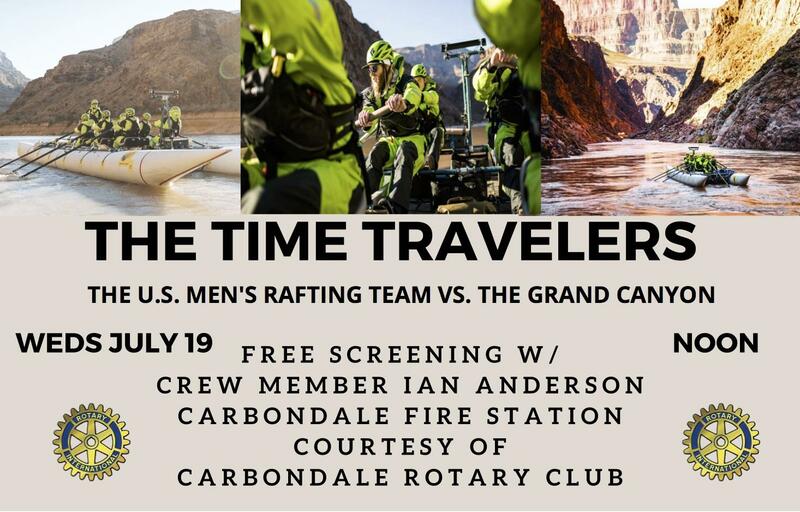 On Wednesday, July 19th at noon the Carbondale Rotary Club proudly presents a free screening of "The Time Travelers" a documentary film by director Forest Woodward and Brendan Leonard.The event will be at the Carbondale Fire Station and includes a presentation by crew member Ian Anderson. Throughout 2016, the filmmakers sporadically followed these scrappy, determined guys on their quest…training hard, designing their custom boat, and gaining perspective on what it means to attempt something extraordinary on one of the world’s most breathtaking stages. 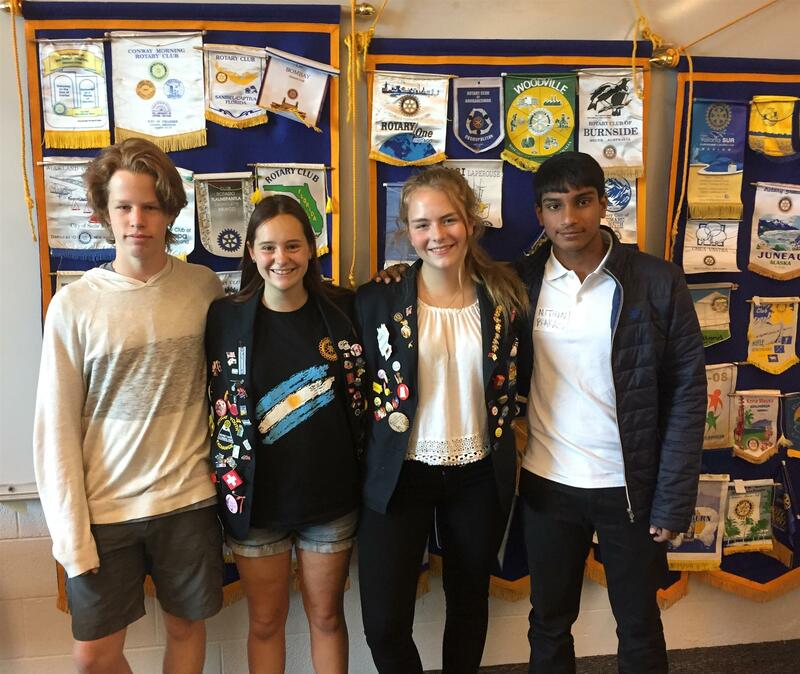 We held a very special meeting two weeks ago as we welcomed our two new foreign exchange students, Sophie Hofmann from Germany and Nithin Prakash from India. 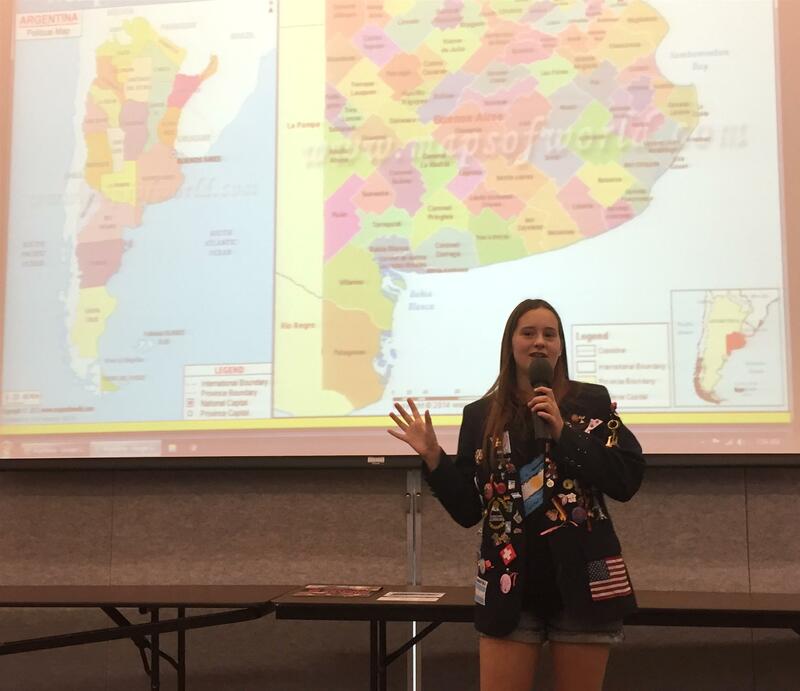 We also heard from returning local student Megan Webber about her amazing experience in Argentina and met with outbound student Jaden Stryker who is headed to the Netherlands this fall! Sophie is attending Roaring Fork High School and just joined the cheerleading squad and Nithin attends Basalt High School and is on the golf team! Congratulations to our new Paul Harris Fellow Award Winners Duke Jones and Ed Queenan! Thank you for your outstanding service to Rotary! Happy Birthday to Mark von Hagke & Art Ackerman! I hope everyone had a good time at the Happening. I enjoyed the gambling, the music and all the wonderful friends together in one place. It’s a good thing that we were not gambling for real because I lost it all! There is no meeting this week. Instead we are going to meet at Jack and Marsha’s at 5:30 on Wednesday for the Demotion Picnic. Marsha would appreciate your RSVP so she knows how to prepare. Like I said at our last meeting, it has been an honor and a privilege serving our club. Please show your love and demote me this Wednesday. Lastly, enjoy this video of “Happy Trails,” performed by Roy Rogers and picture me cantering off into the sunset while the music plays. Save the date! The Carbondale Rotary Happening is Friday, June 10 from 6-10 p.m. at the Carbondale Recreation Center. The theme is Casino Royale and will feature dinner and drinks and craps, roulette, poker and blackjack tables. Dress like James Bond or a Bond girl and get ready to mix it up with your community. Tickets are $75 each and proceeds benefit local scholarships. We will have a small silent auction and music from Valle Musico. RSVP to steve@kdnk.org to reserve your tickets. 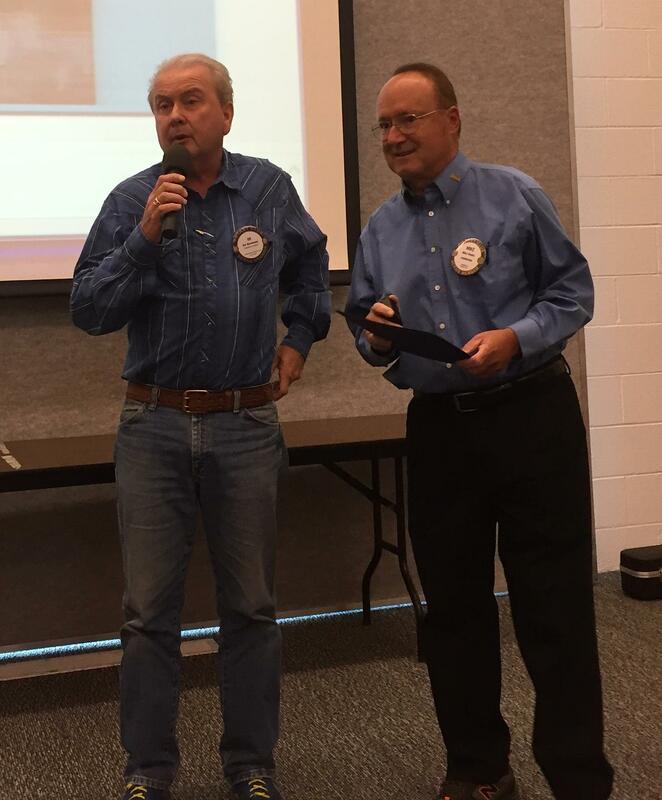 The Rotary Club of Carbondale is helping to tackle poverty, hunger and malnutrition through its support of the Farmers of the Future program. The goal of Farmers of the Future is to help impoverished farmers of Niger, one of the poorest countries in the world, escape the poverty trap of subsistence farming. It teaches modern agricultural practice to primary school children and creates profitable farming businesses for their mothers. The project, now in its pilot phase in three villages in Niger, is being implemented through the non-profit organization, Eliminate Poverty Now, which was founded by Carbondale Rotarians John and Judy Craig to promote economic opportunity in Africa, especially for women. The Happening 2011 - Getting Ready!